As teenager in Lagos, Ifemelu and Obinze fall in love. Their Nigeria is under military dictatorship, and people are fleeing the country if they can. The self-assured Ifemelu departs for America. There she suffers defeats and triumphs, finds and loses relationships, all the while feeling the weight of something she never though of back home: race. Obinze had hoped to join her, but post - 9/11 America will not let him in, and he plunges into a dangerous, undocumented life in London. 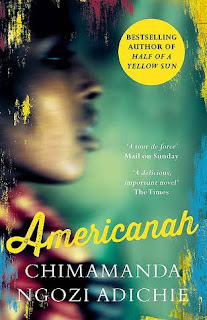 Americanah is my English set work for this year. I have also heard so many good things about this book but also bad things from my fellow classmates. I really enjoyed Purple Hibiscus by her when I had to read it last year for English and I simply cannot wait to dive into both her beautiful writing and the story of Ifemelu. There was a lot of detail in this book and felt that that was due to the fact that Adichie wanted educated non-African and non-Nigerian people of the world that she and Ifemelu had come from. Whilst I thought it was pretty interesting in some cases, in other cases, I just skimmed over the information because South Africa and Nigeria have a few things in common. This book is essentially a love story. Ifemelu and Obinze's love story to be exact. This book plays on the idea of there is only one person who will fit you perfectly, in other words a soulmate. This book is also about the Nigerian diaspora. We see Ifemelu go through some happy life changing moments and some bad ones that have leave a scar. We also have a chance to see parts of Obinze's life. Although I think that his story is there for comparison and to heighten the idea the Obinze and Ifemelu are meant for each other. There is a lot of character development for Ifemelu. She goes through so many circumstance which influence her. We see how she assimilates to the American life before she decides to remain a partial traditionalist as part of the Nigerian diaspora. Ifemelu experiences things she had never experienced before in Nigeria. An example of this was race. Ifemelu didn't realize that she was black until she went to America. We also see how Ifemelu deals with the subject of hair whilst in America and in her relationship with one of her boyfriends. I thoroughly enjoyed her character developments in Americanah. It was one of my favorite things about this book. Americanah is many things. It is a novel about love, change, social issues and the Nigerian diaspora. It is also a statement to make people aware, to make people observers much like what Ifemelu was while she was in America. 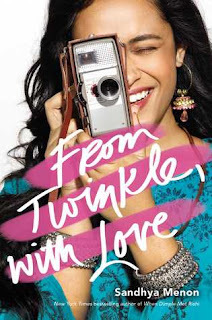 I enjoyed reading this book and I am absolutely sure that I would have loved it more if I didn't have to read the whole book in two days. I highly recommend that you read this book slowly and take everything in.